OK, lots of people go through the trash in Marseille looking for useful stuff but mostly it seems for wires. Wires coming out the back of discarded televisions, blenders, computers etc. 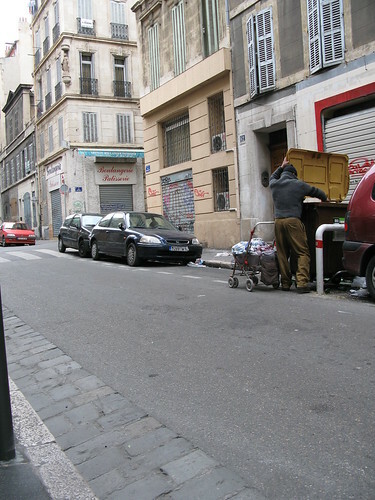 I don't know why but all the people I know including me refer to these people as 'the Armenian trash collectors'. Can anyone help me on this? Where are these people from?